Red buses, black cabs and Buckingham Palace – there’s so much to see in London! Visit the Beefeaters at the Tower, soar high on the London Eye and travel down the Thames in this gorgeous first book of London from Ingela P. Arrhenius. 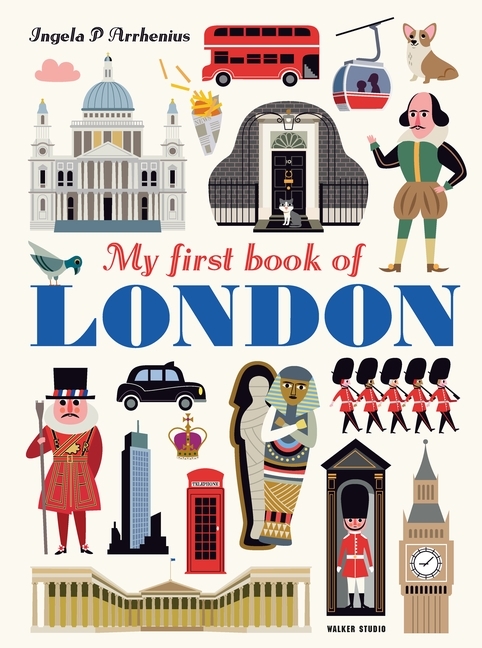 With striking illustrations of everything from iconic landmarks to the traditional full English breakfast, this is a stylish gift for any visitor to this famous city. Art and design have always played a big part in Ingela Arrhenius’ life. Before her career as an illustrator took off, Ingela worked as an art director in Stockholm. She’s since been commissioned for creating print patterns for fabrics, wallpaper, stationary as well as posters, product design, home accessories and toys. She’s passionate about retro style, typography and colour. Her previous books for Walker include Animals and her mini pop-up titles Ocean and Things that Go. She lives in Stockholm with her husband and two boys.